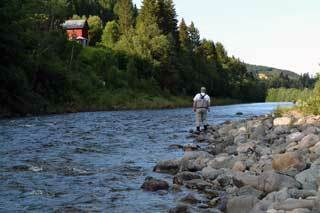 Espås, or ”Espan” as many fishermen call it, has become a favourite among our guests. Espås, including Halset, is an 800 metre-long beat in the shape of a long, deep pool with narrow, powerful rapids at the inlet, leading to a wide, deep neck at the outlet. 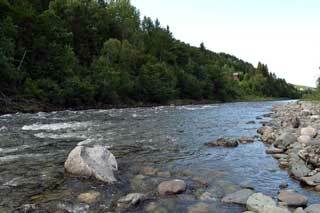 Espås is north of Storås and directly downstream of Rye. 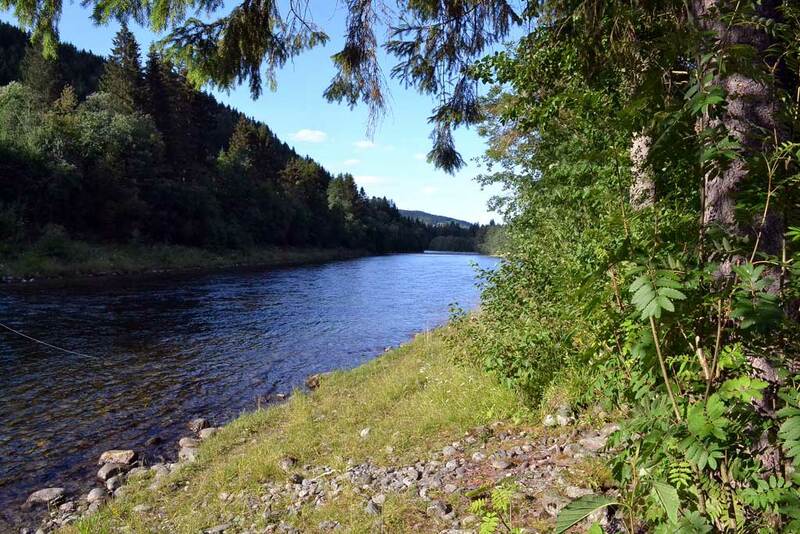 You can fish from both banks, though the upper reaches are best fished from the eastern side. Over the years Espås has delivered whatever the conditions, and is an almost perfect pool. The upper part includes very fast-moving and constricted rapids at the inlet, which then run over into a deep pool with excellent lies, especially at the current edges. Halset.This pool can be fished from both banks, but generally it’s better from the west bank, especially the lower reaches of the pool. 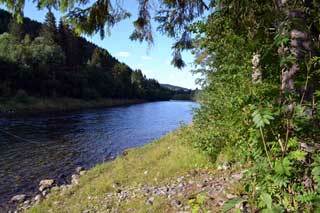 This beat provides good fishing, above all when the water is high, all the way down to the outlet neck. At the end of the season you can find really big fish in the lies.